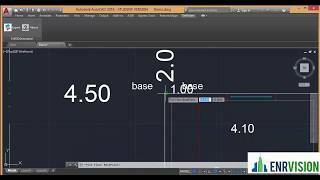 Convert 2D Autodesk® AutoCAD® drawing to 3D in Autodesk® Revit®. 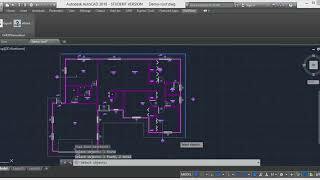 · Select EnRCAD Ribbon tab in AutoCAD. · Use Export to open EnR3DGeneration. · Select the drawing units. · Add floor button to fill floor data. o The floor data includes walls, windows, doors, and floor boundary. o The walls can be selected by layer or block or lines. o The windows can be selected by layer or block or lines. o The doors can be selected by layer or block or lines. o The Floor can be selected by layer or block or lines. · Add Roof Button to full roof data. o The roof can be selected by closed outer lines or layer or block. · Add multi-floor by setting repeated floor number. · Add multi-floor by selecting more than floors and set the base point for floors. Select ENRVision Ribbon tab in Revit. Use Import in EnR3DGeneration panel to import *.ENR file that exported from EnR3DGeneration AutoCAD plugin.